Abstract: We all know that a large quantity of used clothes are wasted inland every year and I have mentioned this for many times. Before, we have talked that the output of clothes were about 26 million to 28 million tons every year in our country. We all know that a large quantity of used clothes are wasted inland every year and I have mentioned this for many times. Before, we have talked that the output of clothes were about 26 million to 28 million tons every year in our country. 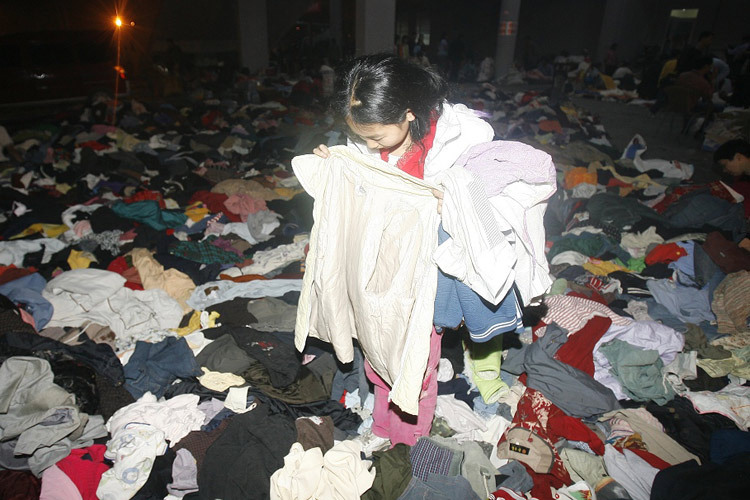 It’s a large number and the clothes can pile up like continuous mountains. In fact, the large number needs a large quantity of resources for support. We know one of the important materials to make clothes is the crude oil and clothes of that scalar rating is equal to 24 million tons of crude oil. CNTAC published the data and said recently that if the waste textiles at home were all recycled and reused, it was equal to saving 24 million tons of crude oil which was over half of the output of Daqing oilfield. The amazing used-clothes waste is drawing attention of parties. If the average lifetime of a clothing article is 3 to 4 years and per person per year throw away 3 to 5 old clothing articles, we can work out that the number of used-clothes output of 1.3 billion Chinese people will be up to 4 billion to 6.5 billion. China has just begun to develop and we should recycle used clothes at fixed time and reuse it. While in fact, the average lifetime of a clothing article of urban population is 1 year to 2 years, as a result, the output of used clothes will be doubled. For the moment, the recycle and donation of used clothes are in a dilemma because although the people have passion for donation and the poor areas also have the demands, fluent channels is lacked in the middle links. The funder of jiuyf.com and the general manager of Hangzhou Kenfei Info Tech LTD., Jason Fang also said that he would always explore news ways for used-clothes recycle energetically. He hopes that there is no waste and wishes to cooperate with enterprises or the government to build a good recycle circle of waste textiles.